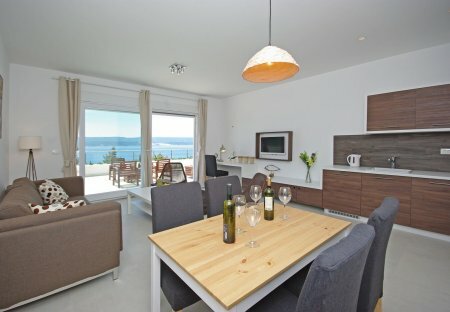 Rent villas and apartments in Mimice, Croatia with private pools. Book affordable holiday rentals that are near a beach. This 2 bedroom apartment with shared pool is located in Mimice and sleeps 6 people. It has WiFi, a garden and barbeque facilities. This 2 bedroom apartment with shared pool is located in Mimice and sleeps 4 people. It has WiFi, a garden and barbeque facilities. This 3 bedroom villa with swimming pool is located in Mimice and sleeps 8 people. It has WiFi, a garden and barbeque facilities. This lovely dalmatian stone house with a pool and mediteranien garden is located in the place of Mimice, just 12 km from Omis. This 1 bedroom apartment with shared pool is located in Mimice and sleeps 4 people. It has WiFi, a garden and barbeque facilities. On hilly terrain in Mimice, in a family house, are situated these holiday apartments. They are simply but attractively decorated. CDT546 and CDT547 have a panoramic view from the balcony. Attractive holiday house with pool, is located in the small village Mimice, on the Omiš Riviera. The comfortable home impresses with high-quality interiors and is perfect for a dream holiday. 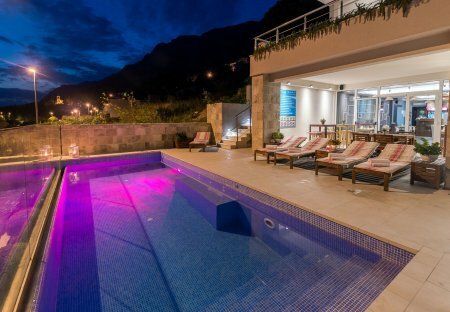 This pretty holiday home with swimming pool is located on the popular Riviera of Omis. On the ground floor, there is a bedroom with a bathroom and mini-bar. This 2 bedroom apartment with shared pool is located in Mimice and sleeps 6 people. It has WiFi, barbeque facilities and garage.